Meltdowns. We all have them. I even have them. But there is something about the toddler and / preschooler meltdown that can break you… or them very quickly. Long before I was a mom, I babysat. A lot of kids with different temperaments and personalities. No kid is the same, but usually one if not a combination of my tantrum taming tricks will work. With 4 kids at home that call me “mommy” I feel like I’ve gotten pretty good at taming our tantrums. Does it always work? No, but one of them should. Depending on their age, you can usually easily distract a child from what they are upset about. Sometimes it doesn’t take a lot of creativity to figure out a way to distract them. Sometimes it takes multiple approaches but you can often get their minds off of something long enough for them to forget why they are upset. After a particularly trying day with all of my girls, I told them we were just going to hug it out. Any time they got upset, there was an argument, somebody felt wronged, we hugged it out. I should have counted all of the hugs given that day, but I’m not even sure I would have remembered a number that high. There was a lot of hugging. It got to the point, though, that when they were starting to feel something other than happy, they would just come over and ask for a hug. We need a lot of positive human contact, and getting and receiving a hug from a child definitely fulfills that need. Plus, it usually helps the adult too. Sometimes they just need help. Did you ask them to put on their shoes and they’ve been putting on their shoes for months? All of a sudden, it’s the hardest thing they’ve ever done. Slow down for a minute and help them with their shoes. Make the connection. Did you ask them to put toys away and they feel defeated by the job? Set a timer for 2 minutes and tell them you will help for 2 minutes and get whatever you can get done during that time. If they work while you work, they will likely almost be done. It’s amazing what a little bit of help can do even when you know they can do something. They might just be lonely. They might need a cheerleader. They might just really need the help. Sometimes, you just need to let it out. Sometimes there is just frustration and hurt and anger built up and it needs to be released. When I think this is the case, in a very calm voice, I let my girls know that I understand they are upset and it’s okay to feel that way. I tell them I’m going to give them some space and I let them know where I will be when they need me or want to come find me (usually in the next room, or a chair in the same room). I also make sure they are in a safe space. This doesn’t really work in a public restaurant or store, of course. In that case, I would remove them from the place and get outside or in the car. This one usually isn’t immediate, but they do calm down and eventually come find you when they’ve worked it out. Yesterday E was having a meltdown of epic proportions. I tried all of my mom tricks above. All of them. Then, I though, I’ve got these oils here that make my house smell good, but let’s try some oils on her. Yes, still have uncertainty. I’ve been using them for a year and the results still surprise me! 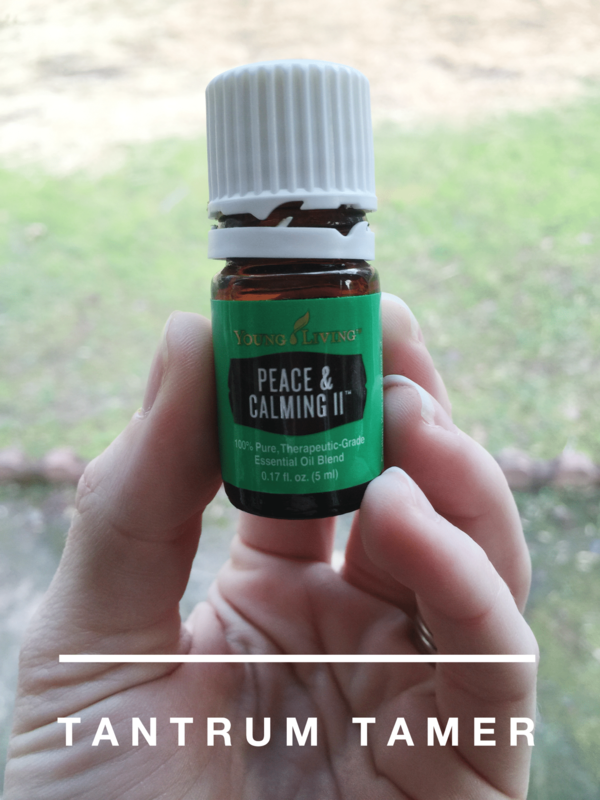 I grabbed my Peace and Calming essential oil, and put some down her spine, a little on her wrists and little behind her ears. and the tantrum stopped dead in its tracks. I really didn’t believe it. So, I tried it again the next time there was a tantrum a few days later. Sure enough, applied to a couple spots, and she calmed down. It may or may not be related, but she took an amazing nap that day, too! As I mentioned, each child is different. Sometimes they are different from one hour to the next. But, usually one of these tricks will work to help stop a tantrum and help a child move to the next thing in their life. Toddlers have it rough. I get it. There is so much going on. There is so much new for them. There is so much they have to learn and take in. Their little brains are constantly in “on” mode and sometimes they just break down. Anything we can do to help them ends up helping us, too, so it’s totally win-win. Bummer I didn’t snag P&C when it was out – I’ll have to wait until next year! This was actually peace an calming II which is totally in stock. The smell is subtly different but the effect is the same. Aunt Deb told me Uncle Mike really likes the peace and calming in their defuser. I don’t remember if I have that one but I am gong to look. I don’t think you do. But you should get it. We really like it! Good Advice! When I realized that I was screaming too much I had to figure it out. My new defense is tickling. We all start laughing and it clears that negative energy of the wrongdoing and frustration. That’s a good one. It works with my older two, my younger one just gets more angry! Yes indeed! With 2 under 2, my method of choice is the distraction 🙂 Great post! 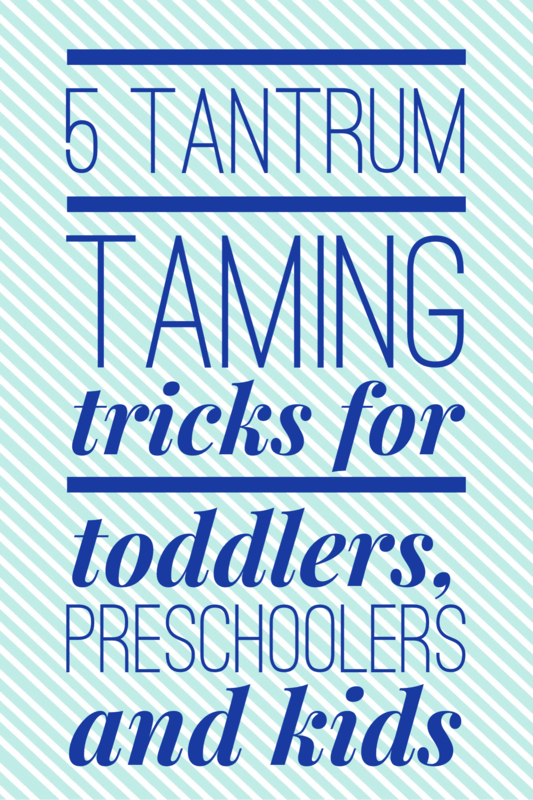 Great post, will have to talk about it on my blog too 🙂 Thanks for sharing, anything that helps tame the tantrums!